A popular local amenity in a unique bush location. Large outdoor hot and cold public pools, two stunning private pools overlooking the bush and stream. Map showing location of Morere Hot Springs . Use the controls on the map to zoom in and out. What a well-kept secret! These off the beaten track springs are delightful. I visited in May 2013. I did the walk up the slight hill to the Nikau Pools, one cold, one hot and one super-hot, and they are all salty because the water comes from the ancient sea bed. The pools themselves are stainless steel and hold 6-8 bathers. The change rooms were very wet because of the rain and it was difficult to keep my things dry while changing. I stayed there till after dark when the manager came up on his bike to boot us all out, he kindly gave me a troch to find my way back as the path is not lit. My only suggestions would be to have a sign to say you will need to take water/drink as the hot salty water is VERY dehydrating, also better roofing over the change rooms so the floor doesn't get wet. As a slightly disabled person, I would also appreciate maybe a little golf cart thing (maybe for an extra charge?? worth it) to get up to the pools and back, as waiting for a knee replacement meant a longish walk with some pain for me. What a nice place to relax. Friendly owners who were very helpful. The Nikau Palms are spectacular. The best i have ever seen. The spa was great. Can't wait to return to do the long walk. Thanks for a great afternoon. Beautiful enviroment. Hot pools "Delicious!" Morere is a natural place which has one of Nz's natural gifts. Well worth a day trip from Gisborne, Napier. Even when the rain is pouring down! Be careful to have good walking shoes as after your soak the body is so relaxed it is hard to move the legs back to the car! Take the kids! The legs will move if only not to be outdone! 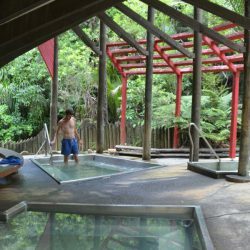 Awesome place to go an relax, unwind utilize the col pool and the thermal pool below if you wnat something inspiring talk a short walk up to the top three plunge pools and have a go!! I went here 10 years ago & loved it, but I just tried to ring them (12 June 2011)(06) 837 8856, and there is a recorded message saying it will be closed due to flood damage for another 4 months. Its a long way to go if you don't check first! I found this springs to be disgusting. The property was not well kept. The springs were filthy and in disrepair. The owner or whoever it was runnning the front desk didn't seem to care. The rest of the facilities looked depressed and as though they were struggling financially. I would not waste your time with this place. Awesome pools, always stop in or stay locally to go there. Morere has the best hot pools ever!!! i love going there, we go there every boxing day lol real kooL man haha!! Patience Tipuna - Frasertown New Zealand!!! I am a local from Nuhaka and as a child have been going there for years. Morere Hot Springs has always been somewhere comfortable to go to and relax, the staff are awesome. 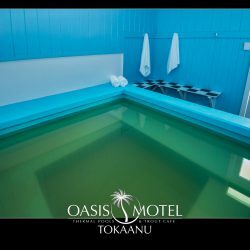 But i do agree with the other responses, making a rock pool and painting the inside would enhance the place, i reckon it is about time Morere had a face lift, other then that, Morere Hot Springs is the Place to be!!!!!! The nikau pools would be better if a more natural looking pool was made, ie stone or something, instead of the steel which looks out of place in such a beautiful environment. 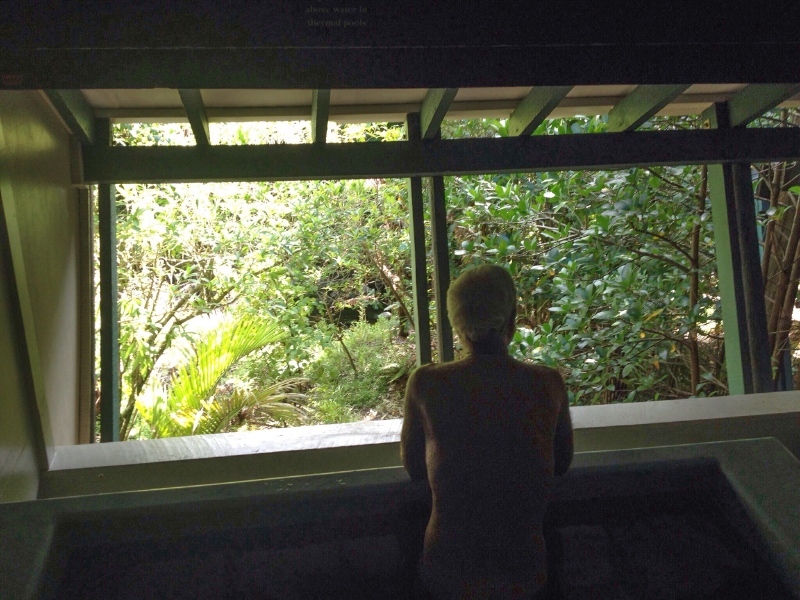 I also feel that the large indoor hot pool would benefit greatly if the walls were painted with beautiful new zealand art, it would really enhance the bathing experience, as it looks a little jaded at the moment. A great day out, very enjoyable. Unexpectedly good! 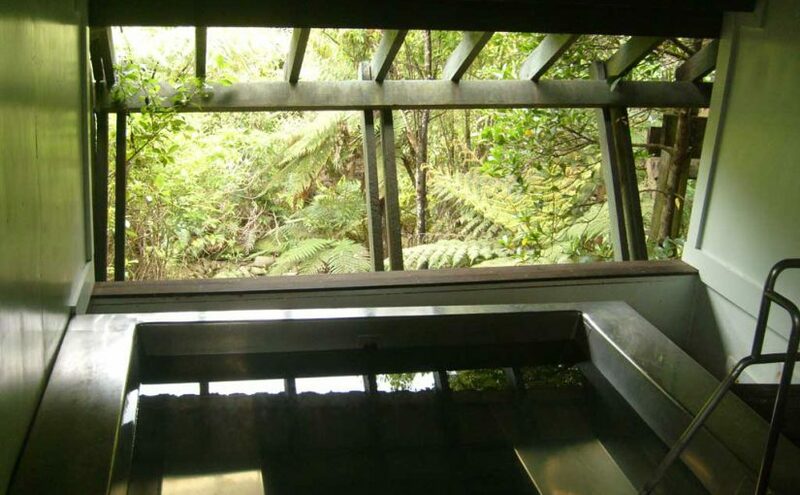 Would be perfect if the pool was a rockpool instead of stainless steel and have an additional hotter pool. Still, I really enjoyed it and our 1YO and 2YO enjoyed it also! Well kept pools of different temperature. A popular local amenity in a unique bush location. 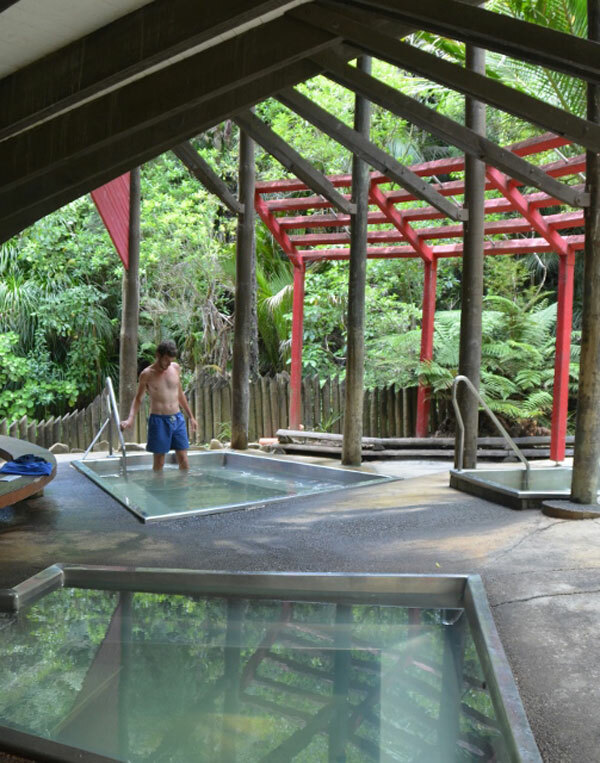 Large outdoor hot and cold public pools, two stunning private pools overlooking the bush and stream, and "Nikau" pools among the bush. With Tea Rooms nearby, bush walks into the hills, and Mahia beaches nearby, an increasingly popular spot! 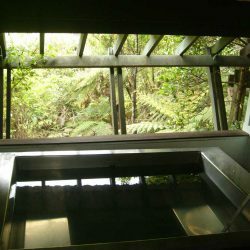 My favorite hot pools in NZ. 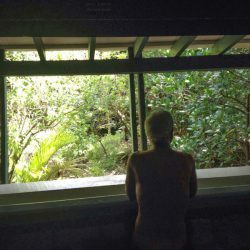 Beautiful place, soak in the pools surrounded by native bush and birds, Excellent facilities inside the park - bbq's, picnic gazebos, refreshments. Source: Private hot (38C) pool.